FIFA Confederations Cup 2017 and maybe even World Cup 2018 may take place amid protests of workers of road building companies involved in construction of the M11 St. Petersburg — Moscow toll highway that’s to be completed just before the World Cup. The builders have not been paid by the general contractor, Turkey’s ICA, since the fall 2016. On January 23, two KamAZ trucks blocked a technological junction of the M11 and A-120 — the highway connecting St. Petersburg and Moscow, part of the international M10 road. M11 will be a toll road going parallel to the M10 which will remain free but with speed limits. On the M11 speed will be limited by 150 km/h. They protesters wanted to attract the attention to the M11 general contractor’s, ICA, behavior who has refused to pay for the work done by its 20 subcontractors. As the media reported, currently the subcontractors had done work worth 23 billion rubles, of which 4 billion were to be paid a few months ago. The absence of payments leads to impossibility of paying bank loans, leased equipment and workers’ salaries. Not that the trucks blocked the A-120, but traffic to some degree was disturbed. That lasted just several minutes as the traffic police intervened and asked the KamAZ drivers to free the way and stop the protest action and they followed the demand. The protest action yielded good results anyway. Representatives of ICA were forced to negotiate and promised to start paying in January. The representatives of subcontractors claimed they would return in a week in case they don’t get their money. ICA is responsible for construction of two stretches of the M11. The road must be completed before the World Cup 2018 and make the movement between Moscow and Petersburg easier and faster. 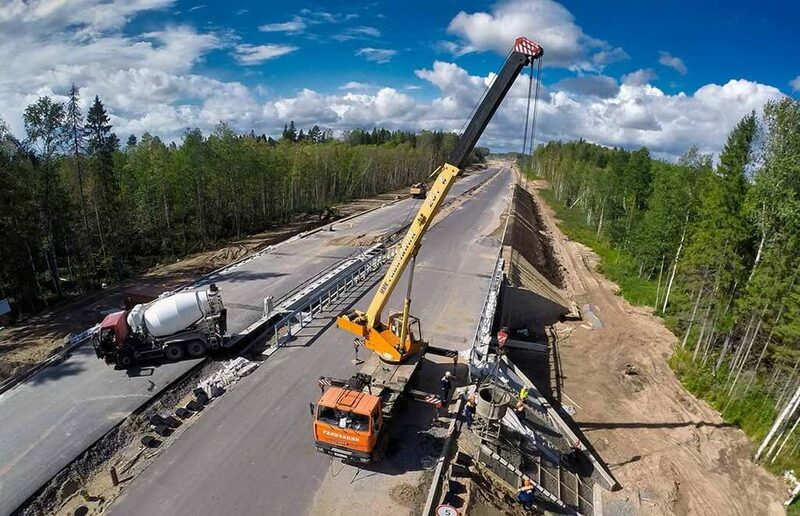 Given the Russian bureaucracy that will be no surprise if road builders will be facing with payment problems and take some protests action during the competition. Anyway, the FIFA commission that comes to St. Petersburg on February 27 to assess the Gazprom Arena on the Krestovsky island has something to think about.